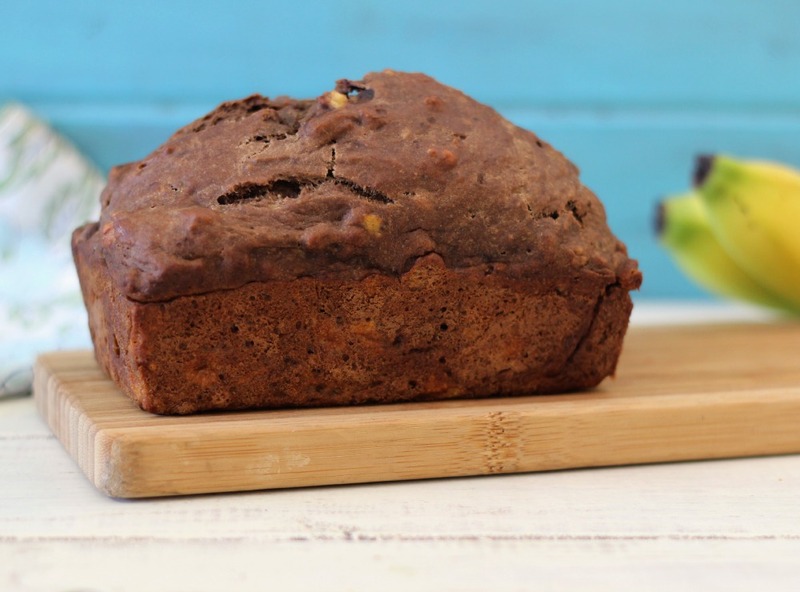 Today I took one of my favorite, favorite, favorite combinations and I turned it into bread! Oh yah! 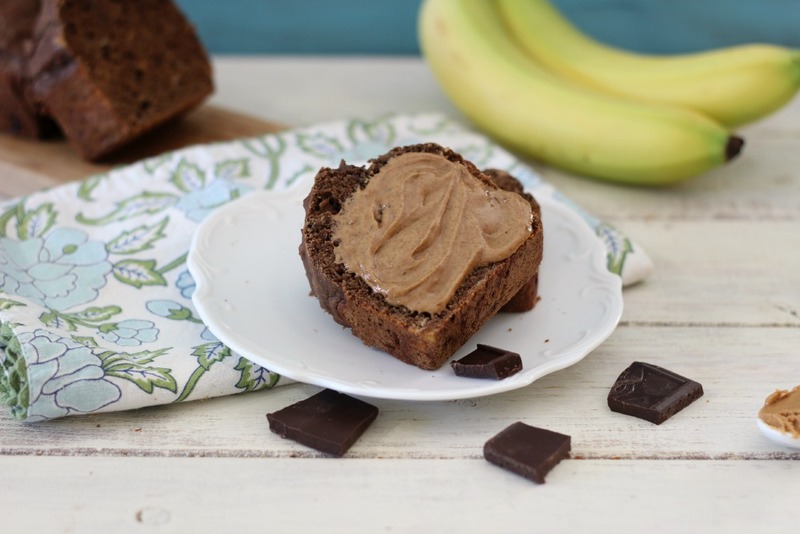 I love chocolate, banana and peanut butter together, ummm, who doesn’t? 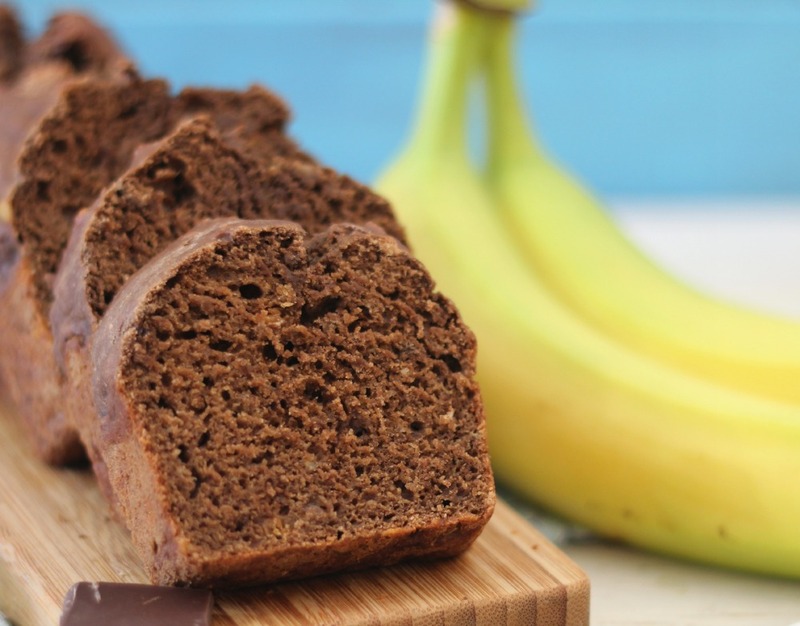 Not only does it make for one of the most fabulous smoothies ever, but it also makes for a good moist, delicious bread. This bread is just amazing! 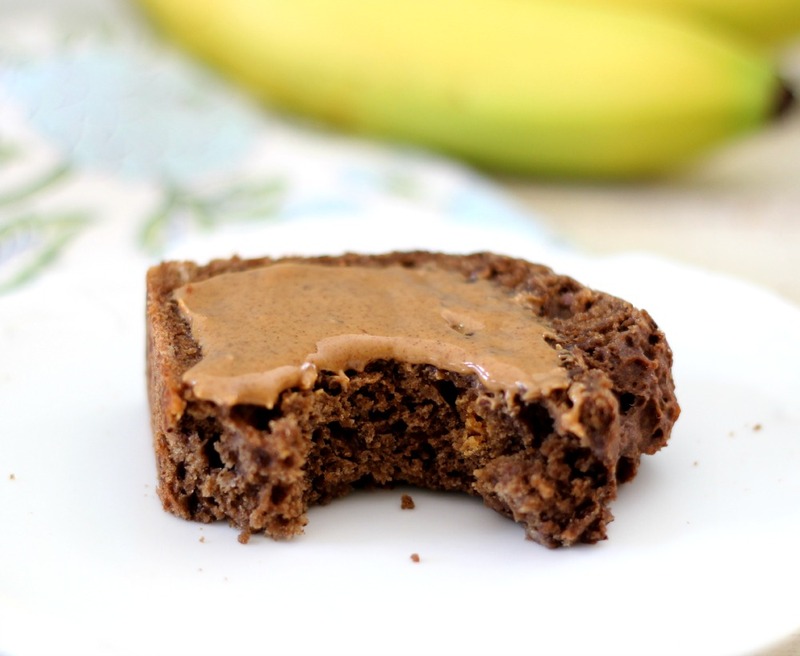 It’s soft, moist and have the perfect balance of banana and chocolate with just a hint of peanut butter. I have made bread before with peanut butter, but I have to admit this one is my favorite. Not only is it tasty, but it is also pretty low in calories considering how fat the pieces are. It’s only 138 calories a slice! The recipes will make one fat loaf or three mini loaves. I made the mini loves, so I can share it with my friends and my Husband can take it to work. He loves his morning muffins and bread. Plus you can also freeze it to have later. However, it’s so good, I don’t know if there will be any left to freeze? It’s really good smothered in butter or peanut butter. I used up all of my peanut butter in this recipe, so I smeared almond butter on top and yup it tastes just as good! Now I need to make some more peanut butter! I have a bag of nuts that is looking to be turned into creamy, delicious spoon licking peanut butter. 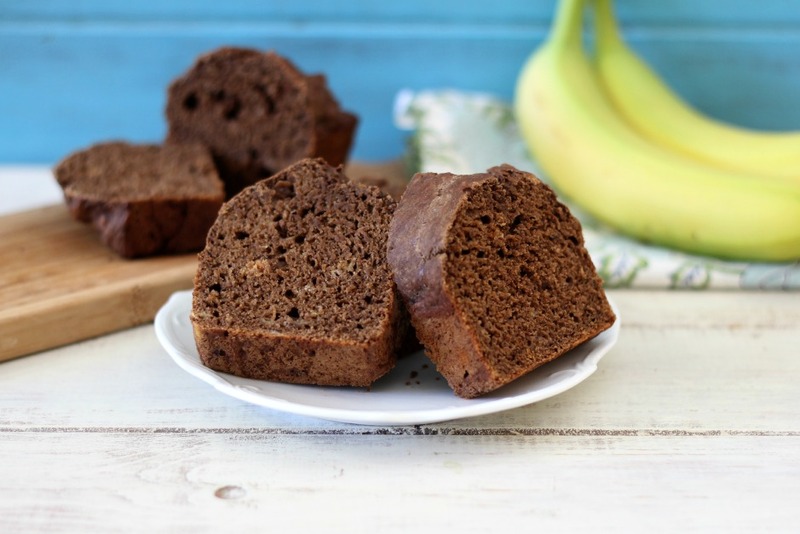 A moist, chocolaty bread, chock full of bananas with a hint of peanut butter. In a bowl; add flour, cocoa powder, espresso powder, salt, baking soda and baking powder;mix until combined; set a side. In a bowl, beat together banana and brown sugar; until combined. Beat in peanut butter, coconut oil and vanilla extract; until combined. Beat in egg; until combined. Beat in almond milk until just combined. Pour flour mixture into egg mixture, and carefully mix until incorporated, do not over mix. Pour the batter into prepared pan and bake in oven for 60 - 65 minutes for large loaf or 30 - 35 minutes for mini loafs. Test bread with a tooth pick. If the toothpick comes out clean, the bread is done. Let bread cool in pan for 10 - 15 minutes; take loaf out of pan and place on a wire rack to cool completely. I baked my bread on Sunday morning. For some reason Sunday’s are baking days for me. I think it’s my way of keeping my baked goods fresh so I have them for work the next day!! 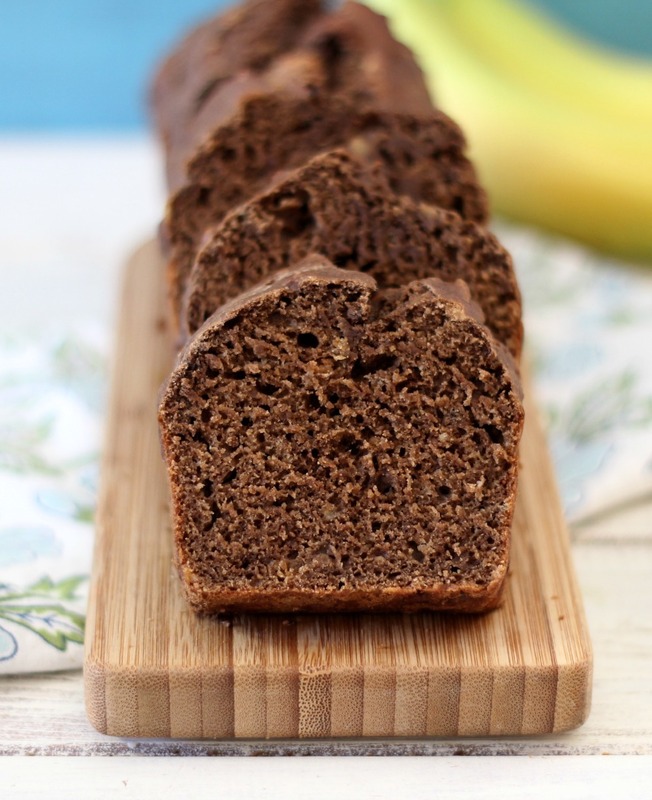 Since tomorrow is Sunday, I think you should bake up a loaf of this wonderful bread. I am sure you will be pleased by the outcome. The color palette you chose for these photos is really eye-catching and makes the bread (which sounds delicious btw) really stand out. Great job! I pinned this to my chocolate addiction board. I bet it is soooo yummy!!! what a fabulous combination of flavors…..
🙂 Have a terrific Tuesday!! Thank you so much Crystelle! Hope you enjoy it! Have a great Tuesday yourself.